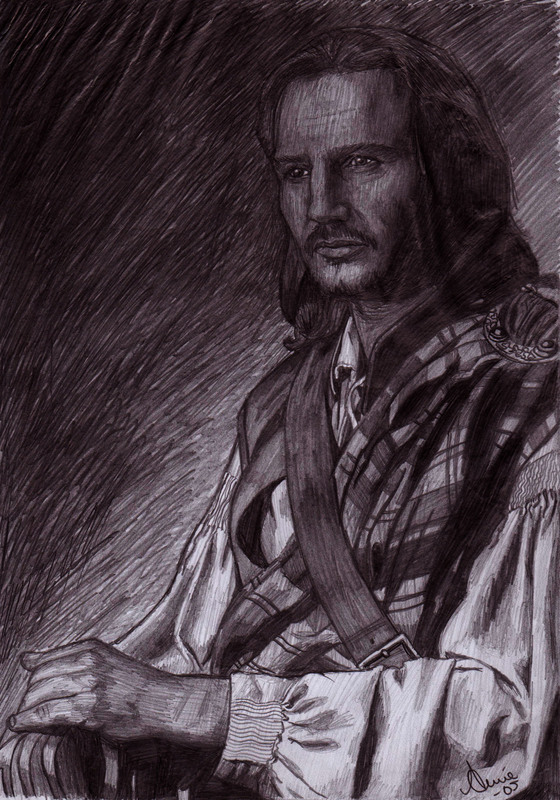 A drawing I made in 2005 of Liam Neeson in the movie Rob Roy. I chose to draw him because of his outfit and because I love this movie. When I had finished the drawing I was very satisfied, since I couldn’t do better at that time. When I look at it today I can not say that am satisfied, since I have improved my drawing-skills since then. This entry was posted in Art, Drawings and tagged Drawing, Liam Neeson, Portrait, Rob Roy by Varja Askeland. Bookmark the permalink.